Grappige gadgets voor (volwassen) kind, beer en pop. Regelmatig hebben wij grappige Steiff items uit het heden en verleden. Zowel voor volwassenen en kinderen als wel voor uw beren en poppen. Indien het artikel niet op voorraad is, mail via info naar de levertijd. 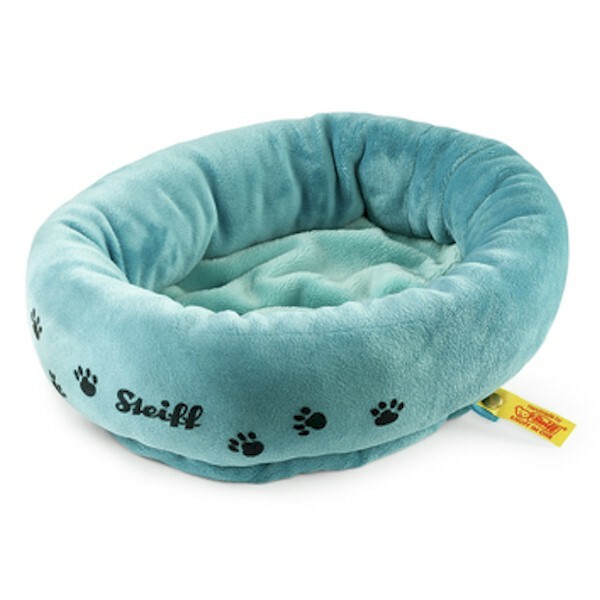 Een lekkere zachte mand voor Cosy hond of kat. Leuk Steiff koffertje. Ongeveeer 20cm bij 14cm. Eenvoudige vlieger van Steiff, compleet met de bijbehorende touwen etc. Prachtig Zegelset van Steiff, in origineel doosje en met een staafje lak. 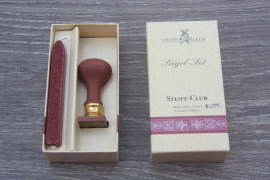 Het stempel heeft de afbeelding van een beer. 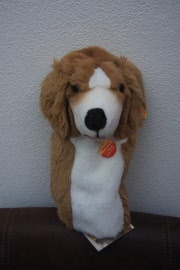 Steiff EAN 671647 Golfschlager Hund 30cm. Een stoere hond voor op de golfclub. 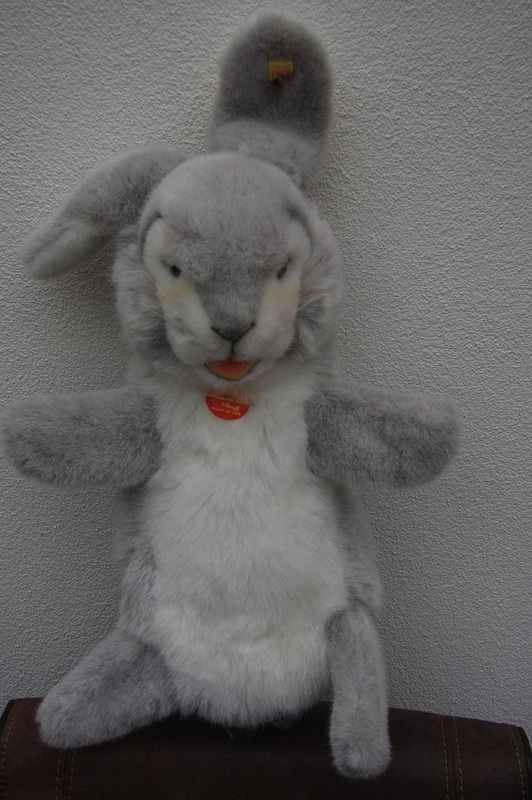 Gemaakt van superzacht 2-kleurig pluche en wasbaar op 30 graden C.
Steiff handpop EAN 254055 Jolly Hase Haas, ong 42cm. 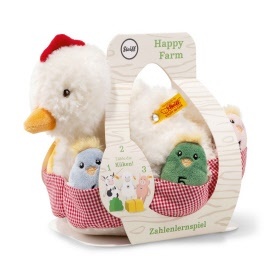 Dit Steiff kussen is perfect voor op reis. Deze Charly teddy beer is 22 cm. 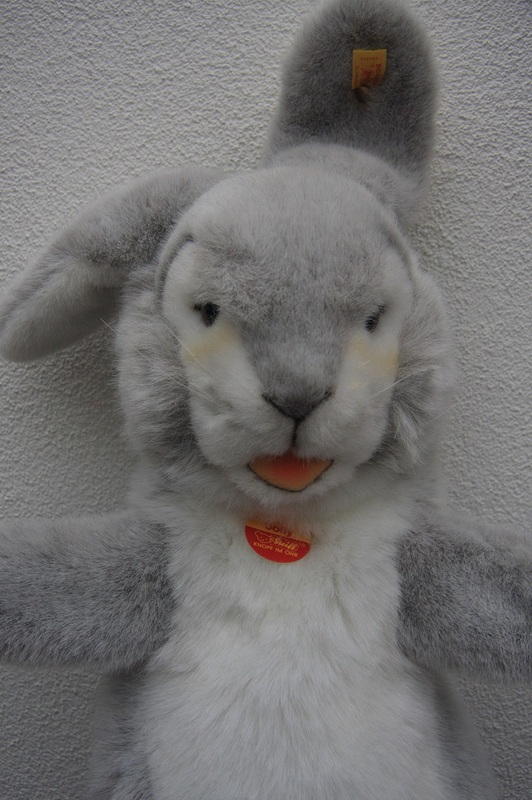 groot en gemaakt van zacht bruin pluche. Steiff Charly heeft een zwarte pluche neus en zwarte veiligheidsogen. Het is gevuld met synthetisch vulmateriaal. Dit nekkussen kan in de machine gewassen worden op 30° C en is volledig veilig voor uw kind. Steiff Charly nek reiskussen draag een vergulde knop in het linker oor. 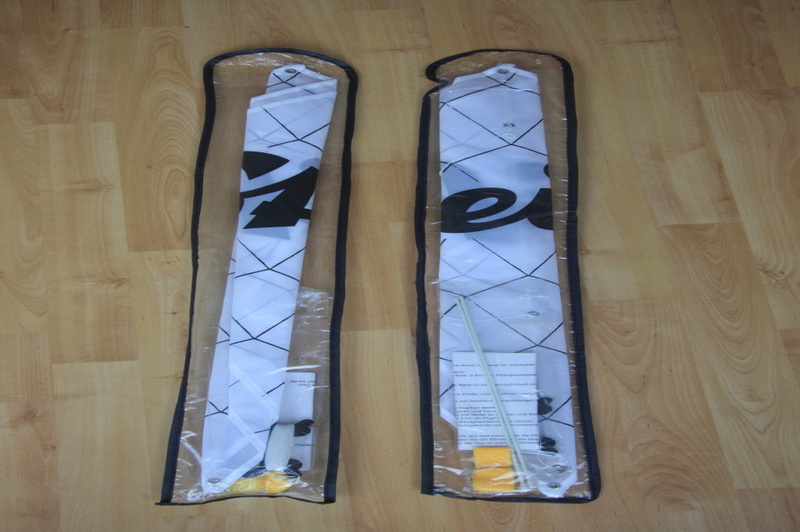 Steiff EAN 671555 Golf club houder Beer, 32cm. 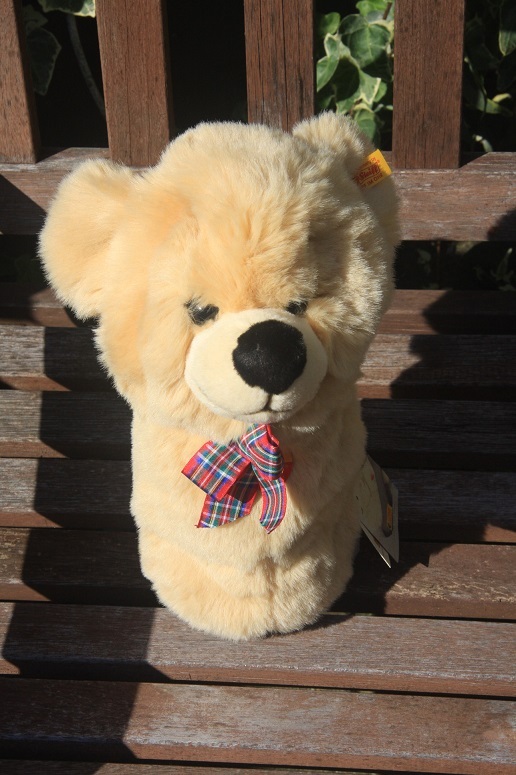 Een lieve Teddy voor op de Golfclub. Gemaakt van zacht creme pluche. Wasbaar op 30 graden C. Hij heeft een pluche neus en veiligheidsogen. Steiff EAN 109218 Magnetic Rabbit 6cm. 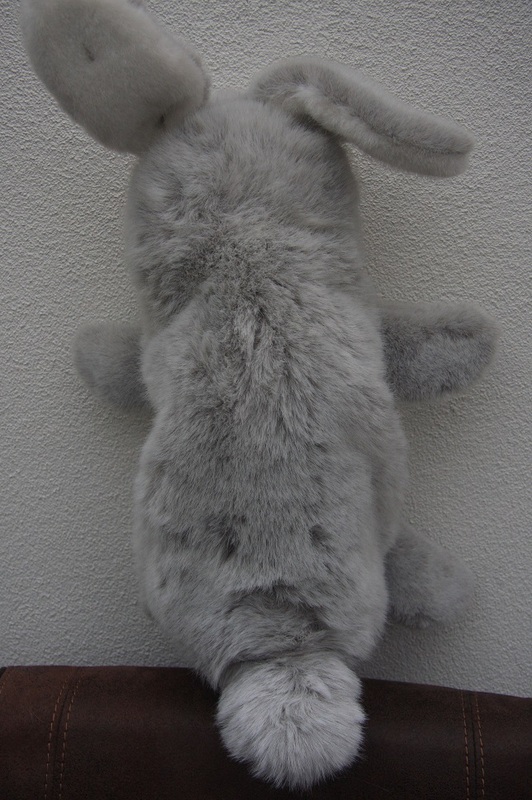 The white magnetic rabbit from the new Magnetic Animals series is 6 cm tall and is made of cuddly soft plush. 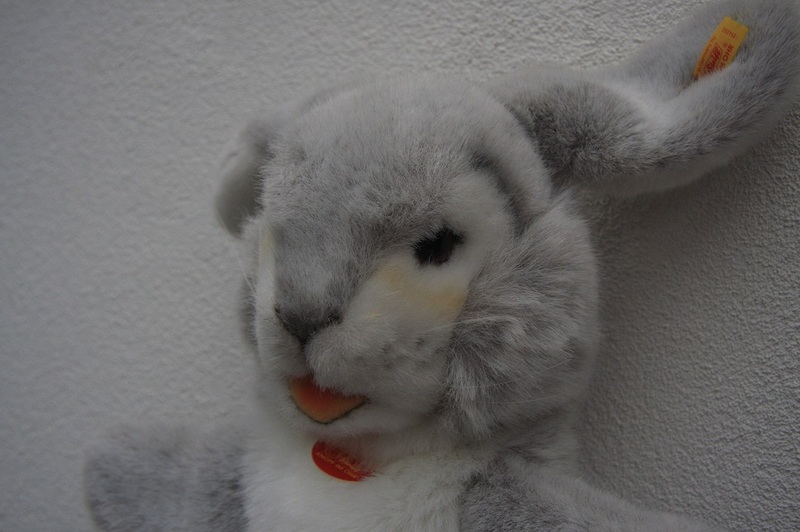 The integrated magnets help the rabbit to stick to any surface, to the fridge door or your child's magnetic pin board. This very personal magnetic pin for your child is not only a practical home aid, it is also a great gift idea for pinning the invitation to the next children's birthday party or as a small present on any occasion. Steiff EAN 109232 Magnetic Cat, 6cm. 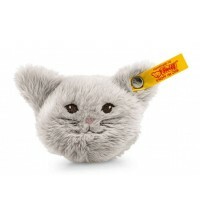 The magnetic cat from the Magnetic Animals series is a cute grey cat's head with embroidered eyes and cuddly soft plush. The integrated magnet ensures that magnetic cats stick securely to all magnetic surfaces such as the fridge door or a magnetic pin board. Whether it is a holiday postcard from Gran and Grandad, or a timetable, a wish list or other souvenirs – this cute little cat's head keeps everything safely in place. 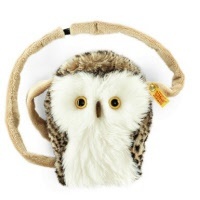 A gift idea which is both pretty and practical and can be given on any occasion. 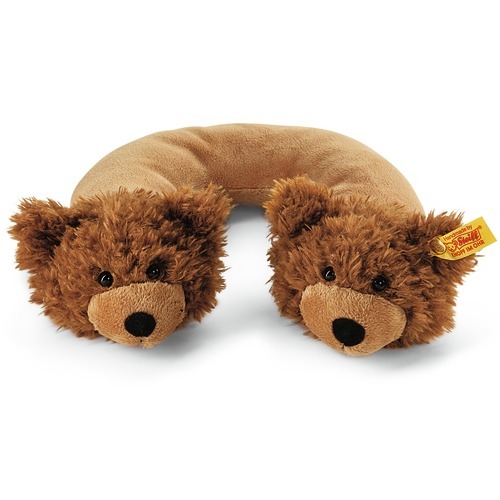 Steiff line used for Biggi dog. 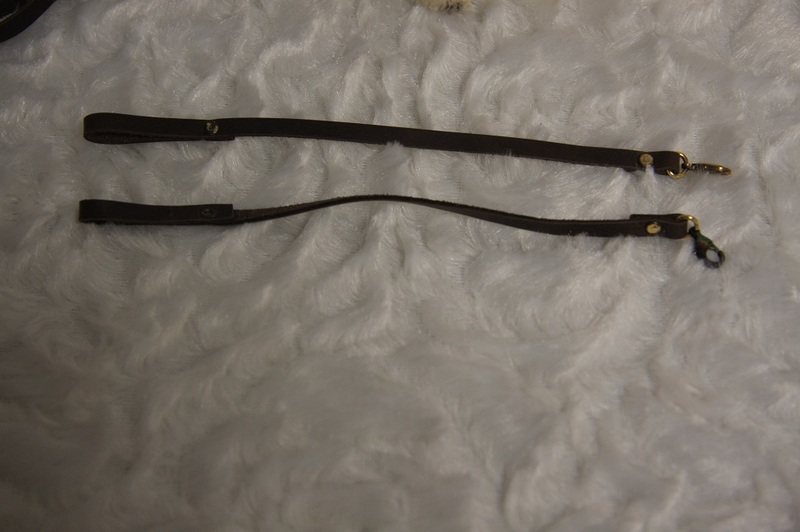 It is 20cm long. Steiff EAN 605178 Necklace little Teddy, 7 cm. This Steiff necklace has been designed by Steiff for the spring 2017 collection. This Steiff bear is 7 cm. / 2.4" tall and made out of artificial cinnamon silk plush. 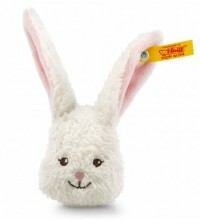 This Steiff plush toy has safety eyes, an embroidered nose and is fully jointed. He comes with a long green ribbon and an organza bag. The surface of silk plush can be cleaned by hand. This necklace is not suitable for young children. 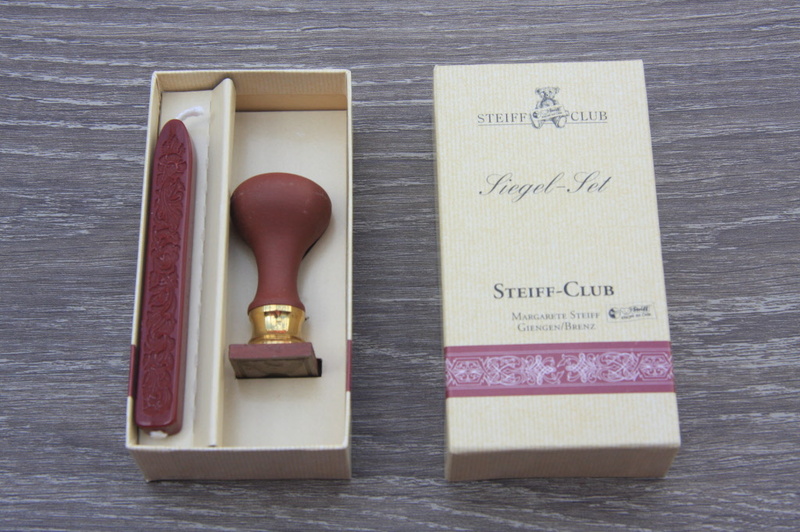 A Steiff animal has the famous trade-mark button in ear. Please note that due to size of the the little bear, there is no tag in his ear! 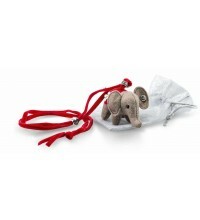 Steiff EAN 605161 Necklace little elephant 6cm. This Steiff necklace with elephant is 6 cm. / 2.4" tall and made out of grey wool felt. 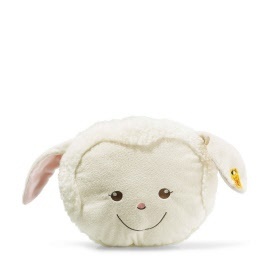 This Steiff plush toy has safety eyes. He comes with a long red ribbon and an organza bag. The surface of wool felt can be cleaned by hand. 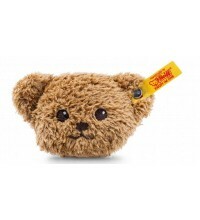 This Steiff neklace has the CE mark for safe toys. Please note that due to size of the animal, there is no tag in his ear!